Arabic music is simply music that comes from the Arab-speaking world. The lyrics may be in Arabic, but they don't have to be, and the music can range from traditional to rock and hip hop. Whether you're already a fan of this wide-ranging genre or you'd like to discover some new music for your collection, you can download tracks and albums for free online. Try any of the links below to explore some great Arabic music websites with plenty of free music to offer. Last.fm contains close to 500 Arabic songs among genres such as Lebanese, Egyptian, belly dance, Arabic pop, Algerian and Middle Eastern. Each listed song includes a 'Free MP3' button you can click to immediately begin a download. The site also includes biographies of its singers, as well as a buy button in case you want to purchase some of their other songs. BeeMP3 features thousands of independent Arabic songs that you can download to your computer, send to your cell phone or stream live from the Internet. Just click a song and then select the "Download Now" button. There is a 20-second delay before your download begins, which you can avoid if you want to add their BeeMP3 toolbar. Keep in mind, however, that toolbars and other software from sites like this one can come laden with spyware and other unwanted programs. 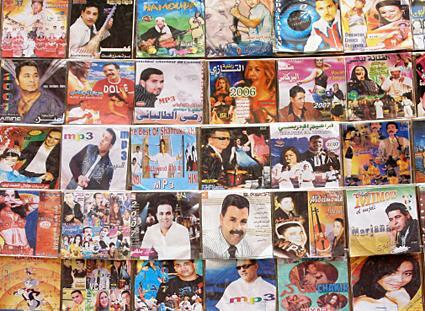 Melody4Arab hosts a wide selection of popular Arabic albums that you may download without cost. To download a song, click the "Download" button underneath the album you like. Then click the downward-facing arrow next to whichever song you'd like to sample. From here, right-click on the "Click here to Download" label and select "Save as" to download the particular song to your computer. You can partake in the wide-genred culture of Arabic music any time by simply downloading a free Arabic song or two. Don't be afraid to expand beyond your preferred genre, as Arabic music includes so much for you to enjoy -- Syrian music, Iranian music, Egyptian music and more!